Hi Everyone! 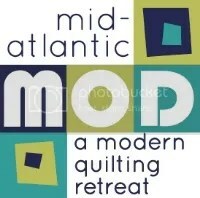 The MQG made us aware of this upcoming workshop. Several of us really enjoyed Carolyn’s class at Sewdown Nashville, so if you’re interested, it sounds like fun. This spring Purl Soho welcomes guest teacher Carolyn Friedlander! Author of the upcoming sewing book, Savor Each Stitch, Carolyn will teach a workshop on Sunday, June 1st from 2-5pm at the New York City store. The basis of the class is Carolyn’s extraordinary quilt, “Aerial Grove”, a fascinating pattern that employs color theory and appliqué techniques. Work alongside this legendary quilter as she explains the inside workings of her process, sharing knowledge and hopefully some good laughs too. You’ll also have the opportunity to purchase Savor Each Stitch before the official publication date! Some sewing experience required.